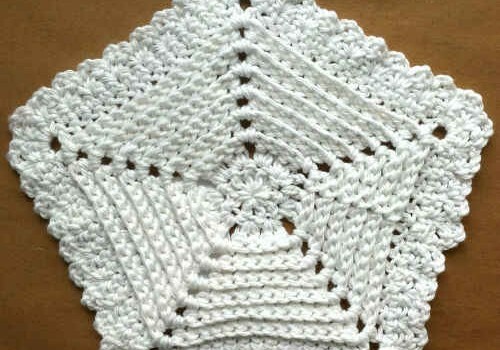 This crochet pattern may become your favorite dishcloth to make! 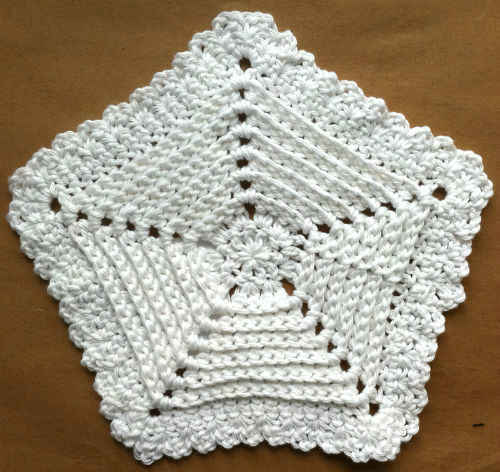 It looks great in a solid color or in variegated yarn colors, is reversible and is really easy to make. This Reversible 5 Sided Dishcloth by Carol Ballard looks beautiful on both sides. Done using suggested yarn recommendation, is soft, is fast ad fun to make and it looks gorgeous! Size: About 11” at widest points. Thanks to Carol Ballard for the article inspiration and featured image. I’m thinking this would look great as a table centre mat or a floor mat. Just keep increasing to desired size? I’ve made this numerous times and it is one my go to dishcloths.